Great story, great photos, great style! The shoes & Mary pin are so fun! 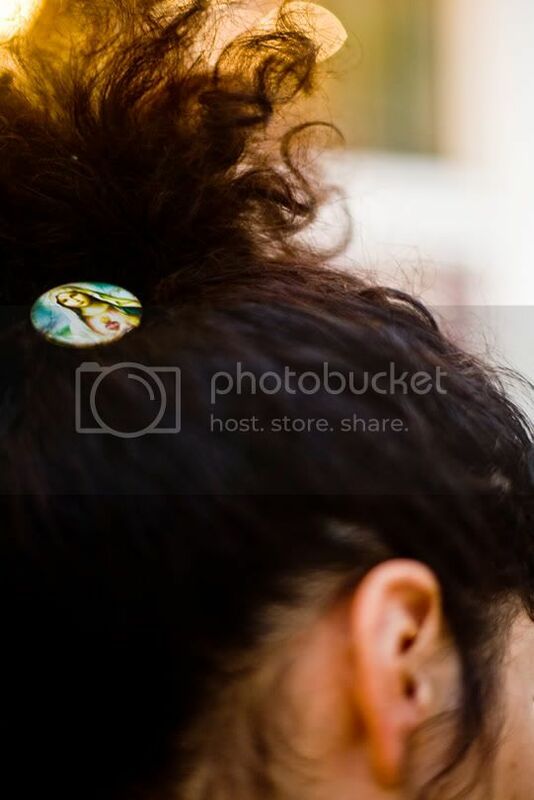 Great photos...I love the hairpin(? )...reminds of Mexico or something like that...oh and the shoes are adorable! Everything about Moki is perfection! I love all the attention to detail and that "moustache" is cute and whimsical. Great shots! She absolutely is worth all sorts of blackmailing! She has got a lot of quirky little things going on and they work so well and her personality sparkles in these pictures!!! funny back story to this picture. What an adorable girl! Love her stlye a lot! Love her outfit and her smile...and how quirky are her shoes!! Your latest posts and this one are just fabulous and crazy. Love all these people and your delighted comments. You're right. Caaauuute! I <3 the entire outfit too! Very funky style - and she is so cute. Can honestly say I've never seen the Holy Mother of Jesus in hair before - that's hilarious! shes amazing and that tattoo on her finger is perfection! love love love the dress, so want it!!!! LOVE this pictures, so stunning!!! 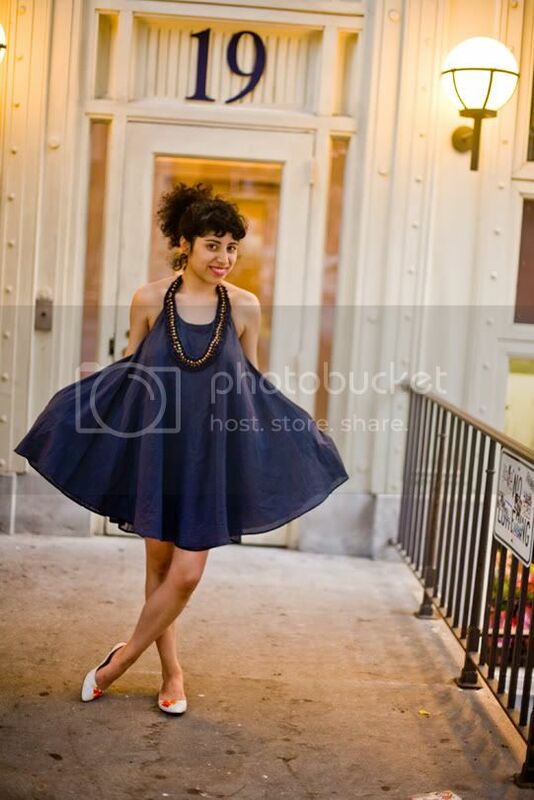 Gorgeous dress!!! And this photo with mustache is hilarious!!! Is that a real tattoo?! 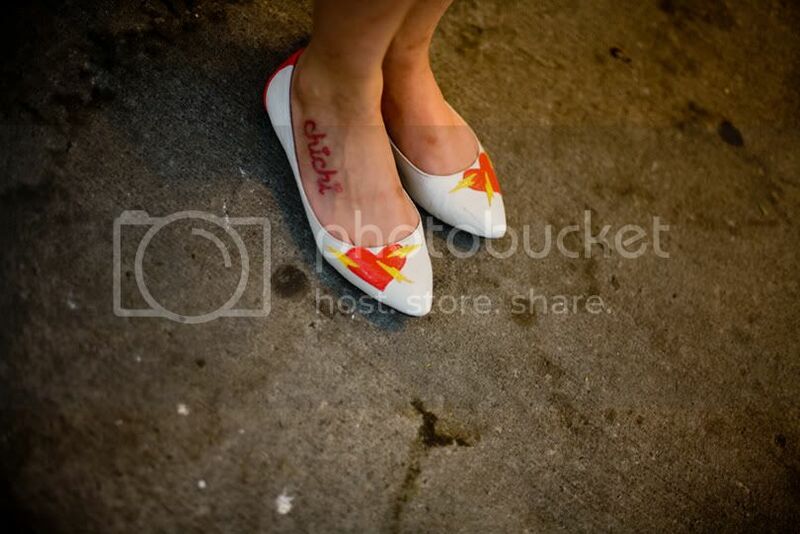 Love the shoes n the hair pin, very unique. i ♥ this outfit ;) u look great! I love how her sense of humor shines though in every aspect of her look. 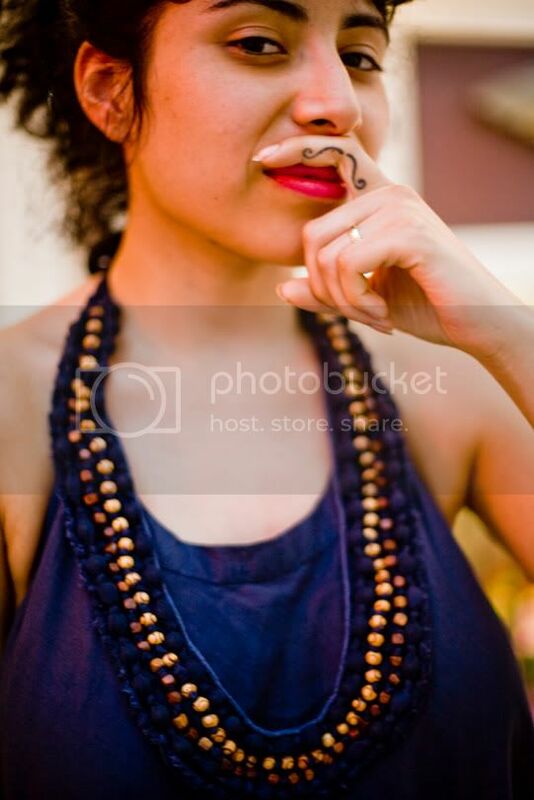 Finger Mustache tattoo!! i just bumped into your blog! i love it!